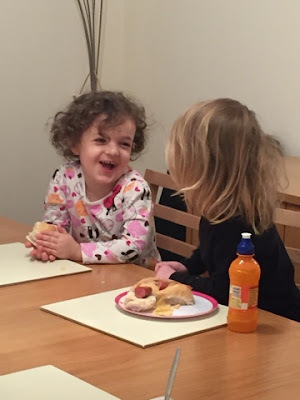 This weeks round up is a day shorter because today is the twins fourth birthday and as you can imagine our day will be busy! So next weeks round up will be a day longer. This week has been half term and has been a manic week. But we have enjoyed some lovely lazy mornings and some trips out and about. 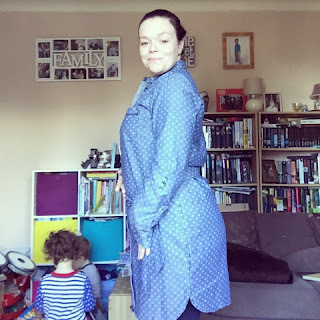 On Sunday I decided to try on a shirt dress that I picked up in the sales just before Christmas. It was reduced down from £45 to £4.50 as it was the last one and a bargain like that could not be missed! I got a size 14 but when I got it home it simply would not fit. This was when I realised how much weight I had put on. On Sunday I decided to try it on and was amazed that it fitted and it anything it was a little bit big! On Monday after a busy morning with the children I decided to cook a lunch that was a bit more exciting than a sandwich. 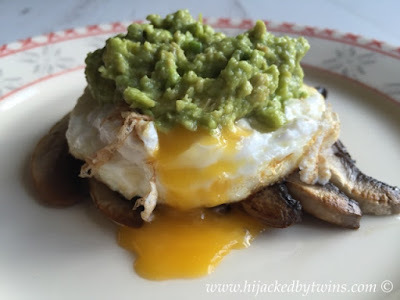 I made Mushrooms, Egg and Avocado. On Tuesday I was surprised to see that these arrived! 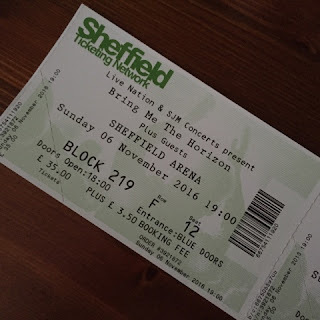 The other week I bought Joseph and I tickets to see Bring Me The Horizon in November. This will be Joseph's first rock concert and I cannot wait to experience it with him. On Wednesday we had a much overdue trip to see my sister and nieces. We usually catch up when they come to our parents house but as it was half term it was the perfect time to go and visit them instead. We had a lovely day and the kids loved playing together. I love this picture of the girls, you can just imagine them planning and scheming together. I love how close they are and I hope that it lasts as they get older. Thursday was a lovely sunny day, cold, but sunny. 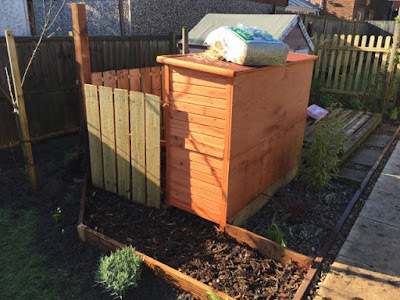 So while I was out in the garden I let the rabbits out in their little area that the hubby built at the weekend. I am so proud of what he builds in the garden. He really is making our garden such a special place. I do not always tell him how proud of him I am and of what he does in the garden and for us as a family. But I am, I am proud of him everyday and every time I see him. Friday was a crazy day. The kids were full of energy and I will admit, when we went shopping, they drove me crackers and nearly broke me! I was pleased that they had a friends birthday party to go to in the afternoon so I had a couple of hours free time. As I was about to start baking the twins birthday cupcakes the hubby arrived home early to surprise me. Recently my moods have been very up and down so he came home early to cheer me up. 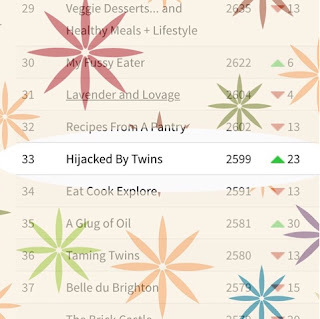 Seeing my Foodies100 score also cheered me up. I know that numbers and stats should not be important but when I saw this I did feel a bit proud of my little blog! That is our week so far. Tomorrow is all about the twins! I hope you have a great weekend. That shirt dress just shows how well you have done! what a bargain that shirt dress was (I find it hard to resist bargains like that myself! ), and well done on it now fitting, maybe too loosely! Well done on the weight loss - that's a bargain dress as well. Hope you get some wear out of it before it's miles too big! £4.50! Bargin, and yay I'm pleased it fits you now, well done. I hope the twins' birthday went well and you aren't all too tired! Your lunch on monday looks amazing, I love avocado at the moment. The girls look very happy together, plotting what though?! well done on losing the weight. It is great to have a handy hubby, and I agree we do not always appreciate them. FoodieSeeker Friday - Carnival Vista Countdown!